In the culinary arts, the term au sec refers to a liquid that has been reduced by heating until it is nearly dry. Indeed, au sec means "nearly dry" in French. It is a reference from classic French cooking instructions and you may see it in printed recipes. The pronunciation is "oh-SECK." If you are taking directions in a cooking class or from a fellow cook, or if you are watching a video of a competitive cooking show, you may hear it stated. Reducing a liquid to au sec is a process most frequently seen in sauce making. It's often the acid component, such as wine or vinegar, that is reduced to au sec. At this point, the liquid has the maximum flavor but the minimum volume. It will add a little moisture to a dish but will impart the flavor it contains, which may be desired for risotto, for example. Examples of sauces where the wine or vinegar are reduced to au sec include Béarnaise and beurre blanc. Au sec can be a tricky point to achieve without scorching. You do not want the reduction to be cooked dry, but rather, still liquid but almost dry. It's probably best to have a small pan over moderate heat, watching as the liquid thickens, and turning down the heat as it approaches the point of being syrupy. You may see au sec as an instruction in a classic recipe. 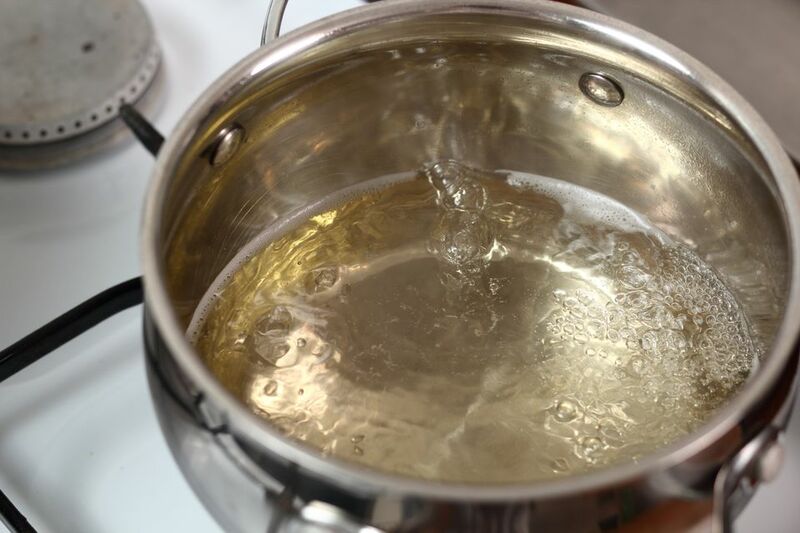 Or, the same technique is used but it is spelled out in greater detail so you don't have to guess the volume to which you are reducing the liquid ingredients or the heat that you should use. Béarnaise: This is a rich, aromatic emulsified sauce often served with grilled steak. Vinegar, shallot, peppercorns, and tarragon are simmered to reduce them to au sec, with a half cup of liquid concentrated to two tablespoons. After the au sec step, the sauce is made by whisking in egg yolks, adding melted butter, and more whisking to produce the emulsion. Beurre Blanc: Legend has it that this sauce was invented when a chef forgot to add egg yolks to Béarnaise sauce. This is a butter-based emulsified sauce often served over fish. It calls for reducing dry white wine, vinegar, and shallots. The volume is reduced from 1 1/2 cup to only two tablespoons. That process takes about 10 minutes. After that, butter is added a bit at a time, with whisking to emulsify it in the sauce. Risotto: The process for making risotto is to add small amounts of wine and warm stock to the rice, stirring constantly. As the liquid is absorbed into the rice and it reaches the au sec point (almost dry), another small amount of liquid is added and the process is repeated. The rice releases its natural starches as it is cooked in this way and the risotto becomes creamy without adding any dairy.